Minister of Communities, Ronald Bulkan has disclosed that some 4,000 house lots should be available within the next eighteen months under a transparent and fair process. 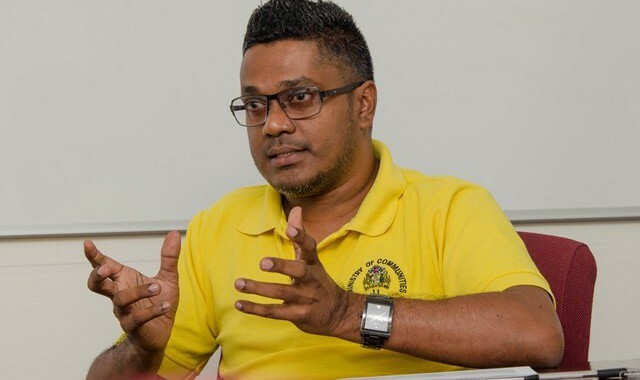 He made this disclosure on Tuesday during an exclusive interview with the Department of Public Information (DPI) while at the ‘Government comes to you’ outreach in Berbice. The cost to develop a house lot is approximately $3M. With this in mind, he said the government is making it affordable for its citizens and has pumped over $5B in consolidating infrastructure on housing schemes inherited from the previous administration. Correcting errors made in the past has somewhat sidelined the government from aggressively developing new housing schemes. “This is an issue that is now being addressed by the administration to see in 2019, how many more new house lots we can make available, and our target at this stage is to, within the next 18 months, have possibly in the vicinity of 4,000 new house lots,” Minister Bulkan stated. He highlighted that that there is a huge backlog in the system inherited from the previous administration. Nevertheless, he said there is now a transparent process which is allowing more applicants to own their own homes. Additionally, the government has held several housing expos, providing affordable housing for all. 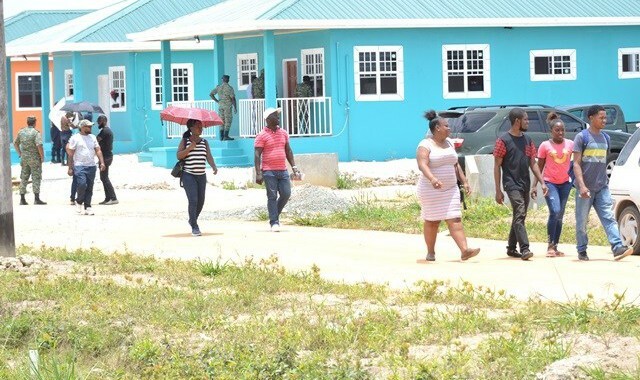 The Central Housing and Planning Authority (CH&PA) has teamed up with some private developers including the Guyana Defence Force (GDF) and the Guyana Prison Service (GPS) to build 50 homes for low-income applicants at Prospect New Housing Scheme on the East Bank of Demerara (EBD). The houses, measuring 400 square feet each, include the necessary amenities and a small patio which stands on a plot of land measuring 40 feet x 80 feet. The prices range from $4M up to $9M. A $2M Smart Stop project will soon be taking the town of Linden by storm, paving the way for similar projects in the other eight municipalities. The Smart Stop project, a pilot of the Ministry of Communities’ Community Infrastructure Improvement Programme (CIIP) and will feature solar lighting, USB charging ports, free WiFi, advertisement and information spaces, protective guard rails and garbage receptacles. 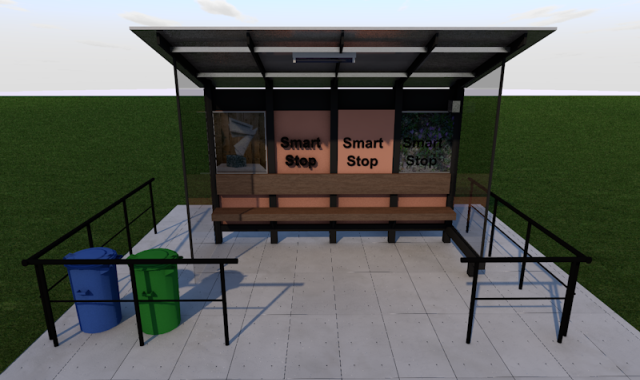 The Smart Stop project, which will also be fully powered by solar energy, will convert the country’s current bus stops into safe, pleasant waiting areas with improved interactive information services and a sanitary dispensary among others. Coordinator of Engineering Services at the Ministry of Communities’ Community Infrastructure Improvement Programme (CIIP), Naeem Khan said the ‘Smart Stop’ is not a regular bus stop. Among the objectives of the initiative is to assist persons who might have run out of internet data to get on with their business. A feature of the Smart Stop will see an information slot which will inform tourists and community members of the location of important places. “Things like hospitals, schools, health centres and the location of the municipality office and street among others,” Khan explained. Following the Linden project, Smart Stops will be installed in the Municipalities of Anna Regina, Corriverton, Bartica, Georgetown, Rose Hall, Lethem, New Amsterdam and Mabaruma. Kitty Market prepares for Phase Two.